There was a period in this site’s history during the 2009-2010 range where we collectively saw Built to Spill more than ten times in a short span (four shows in October 2009 alone). Most bands seen that often that close together would burn you out for good, but we have continued to follow Doug Martsch and his outstanding band since then. The reason Martsch feels he can continue playing New York with such frequency — even when he doesn’t have new material on offer — is that the show doesn’t just go on, its gets better every time. This performance at Music Hall of Williamsburg was easily the best BTS performance I have seen in all of the many times I have experienced this band. Without the burden of promoting a new album, Martsch felt free to let he and the band’s whimsies roam, playing classic BTS songs like “Stab” from There’s Nothing Wrong With Love alongside newer favorites like “Planting Seeds”. We got songs that were great, short bursts; we also got a nearly ten-minute “Goin’ Against Your Mind” straight into “Carry the Zero” to close out the main set. But what set this show apart were its four cover songs. If you haven’t heard Martsch do his best J. Mascis impersonation, now you can, on this epic cover of Dinosaur Jr.‘s “Sludgefeast”. Or if classic rock is more your thing, you couldn’t go wrong with this phenomenal note-for-note rendition of Blue Öyster Cult’s “Don’t Fear the Reaper”, or BTS’ take on The Byrds’ “Eight Miles High”. 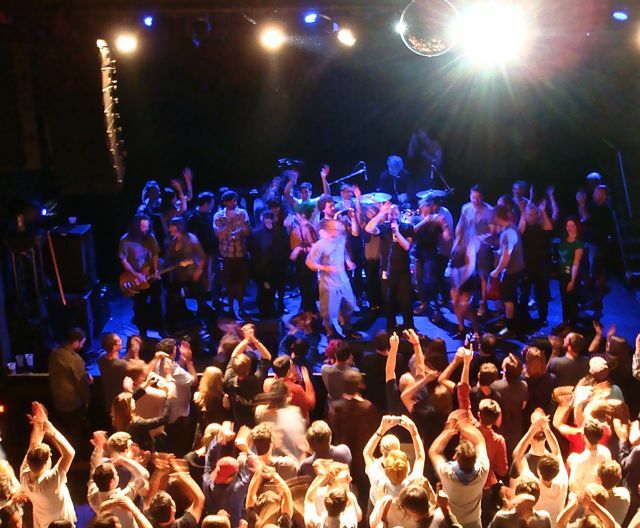 The night ended, as did the Brooklyn Bowl show, with the craziest cover of all — a seventeen-minute free-for-all to the tune of “Genius of Love” by Tom Tom Club, which found the audience joining the band on stage for an epic, old-style Brooklyn dance party. It was the kind of thing a band with two fewer decades’ experience might have done, a lark to put a punctuation mark on the night. 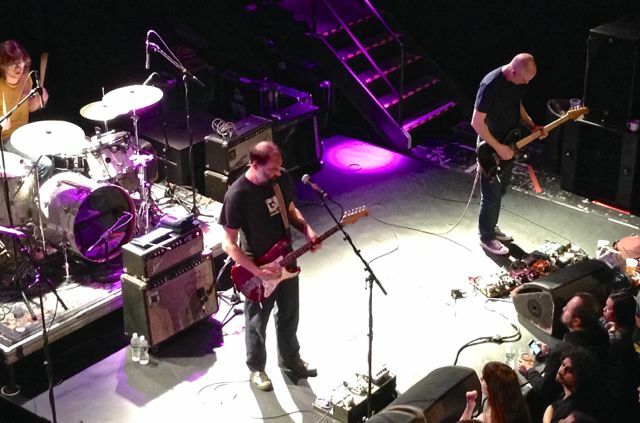 But that’s the genius of Built to Spill — whether the songs are new or old, the show never stays the same. I recorded this set along with Johnny Fried Chicken Boy from our usual spot in the balcony directly over the soundboard cage, using Schoeps MK5 cardiod microphones. With some careful editing to mitigate the boomy nature of the house mix, this recording is excellent. Enjoy! If you enjoyed this recording, PLEASE SUPPORT Built To Spill, visit their website, and purchase their official releases from the Official Store at their website [HERE]. Awesome. Thanks so much! 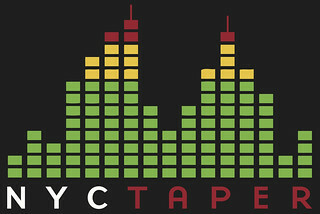 By any chance, did you record the bowery show?